Geologic Maps have long been the established method for geologists to communicate their scientific discoveries, and at the Washington State Geological Survey we take pride in our award winning geologic maps! We invite you to search through our selection of Washington geology maps here. 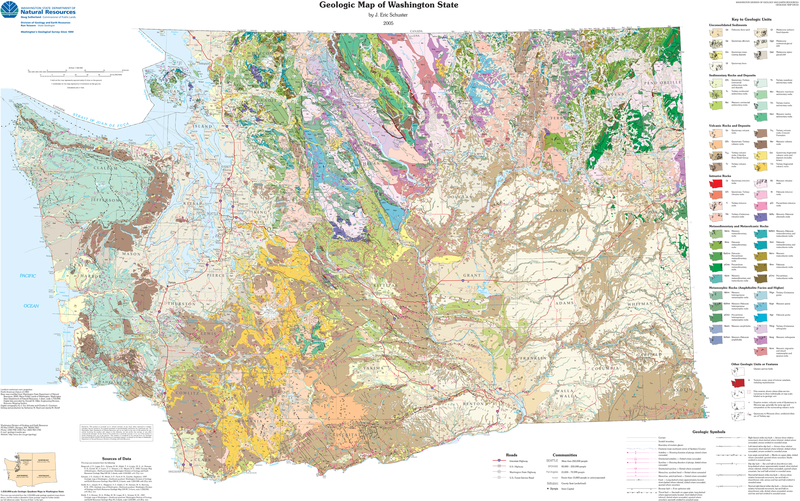 Geologic Map (GM) 53, an award-winning 1:500,000 scale geologic map of WA State produced by Washington Geological Survey. 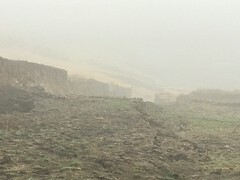 Click on map for larger view. We are also excited to pass on the website launch announcement for the USGS National Geologic Map Database MapView, which indexes and provides download access to geologic maps (historical and modern, and at a variety of scales) throughout the United States. NGMDB MapView has superb coverage of the Western US! The NGMDB MapView website for geologic maps nationwide.